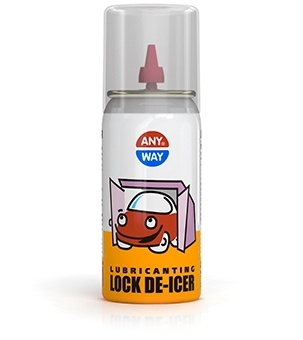 Universal care product for car locks. Quickly defrosts the iced parts of the lock mechanism, and recovers their mobility. Lubricates and protects the parts from corrosion. 2. Spray the content (2-3 sec.) into the keyhole.